Mikaela Schubkegel moved from Sidney B.C. to Kamloops in July 2017 with her husband. Having spent most of her life on Vancouver Island, Mikaela decided it was time for a change. She is currently finishing her Bachelors of Health Science Degree at Thompson Rivers University with ambitions to continue into physiotherapy. As a lover of hiking, she is loving the abundance of outdoor adventures Kamloops has to offer! Mikaela completed the 3000 hour RMT program at WCCMT in Victoria and subsequent completed the registration exams in 2014. Her training includes an in-depth knowledge of anatomy, physiology, kinesiology, pain and stress management, therapeutic exercise and treating over 70 different pathologies. Through continuing education courses she has obtained her level 2 in craniosacral therapy, and the basics of level 1 visceral manipulation. Mikaela uses a blend of techniques to try and give the most effective treatments for her clients. These techniques include myofascial release, general swedish massage, trigger point therapy, muscles energy techniques, passive and active stretching, joint mobilizations, craniosacral therapy and many others. Having worked in both a chiropractic clinic and a physiotherapy clinic previously, Mikaela has tried to absorb as much as she could from the experienced therapists surrounding her. Her clinical experience has taught her a lot about both chronic pain management and effective treatment for acute injuries. She believes that educating her clients and giving them appropriate exercises to perform at home is a key part of the treatment. Her goal is to support and work together with each client to make sure they receive a safe and effective treatment. When Mikaela is not working as an RMT you will most likely find her working with horses. Horses have long been a passion throughout her life, so it seems only natural that her work and hobby overlap. Along with riding 2-3 days a week, she has taken separate, private training in equine massage bodywork. 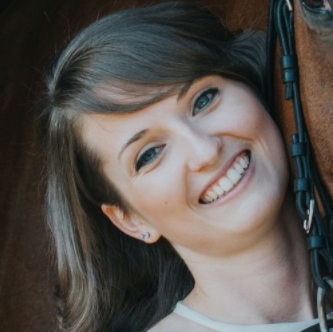 While recently retiring from her equine massage bodywork due to the physical nature of the work, she has been thrilled to begin learning natural horsemanship skills to better her relationship with horses.